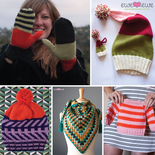 Make a cozy stocking cap just in time for the holidays! Knit in Ewe Ewe’s Wooly Worsted yarn, Me and The Tree is a knitting pattern that has a festive hat for you and a cute matching ornament for your tree. 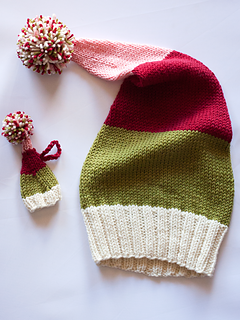 This hat will be the prettiest knit at your next ugly sweater party! Supplies: Stitch marker, darning needle, pompom maker, crochet hook size J/10. Gauge: 18 sts to 4” in st st after blocking.